Electricity isn’t the only business in the Taggart blood. Mom has owned a world-famous jazz club downtown for almost 30 years. For most of that time, Taggart Electric Inc. has kept the speakers hot and the drinks cold. 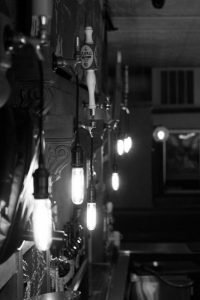 From servicing Mom’s bar to servicing neighborhood bars, to partnering with contractors on new builds throughout the Chicago area and beyond, Taggart Electric Inc. has built its reputation as one of the best bar/restaurant electrical teams in the city.